Tested by Olympic athletes. Pretty impressive pedigree but you don’t need to be an Olympic athlete to appreciate the Organic Compression Socks from Danish Endurance. 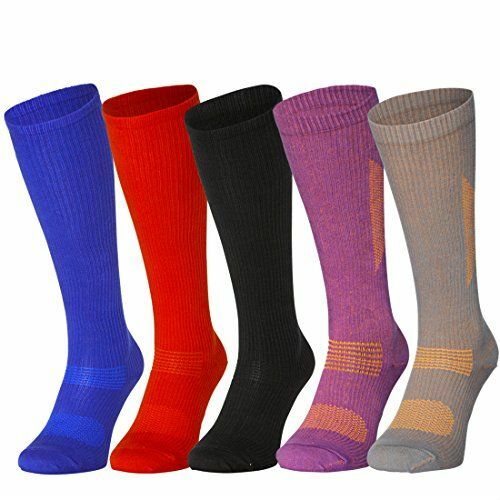 Designed in Denmark and produced in the EU, these compression socks provide graduated compression from the from ankle to calf, helping to pump, cleanse and oxygenate blood. Use them during a workout for optimum performance or post-workout to facilitate recovery of your tired muscles. As expected, they provide a snug but comfortable fit, and the organic cotton blend is cool and breathable, as well as being a sustainable and eco-friendly choice. Think of Danish Endurance Organic Compression Socks as your trusted training partner to help you in your TrailblazerGirl adventures!